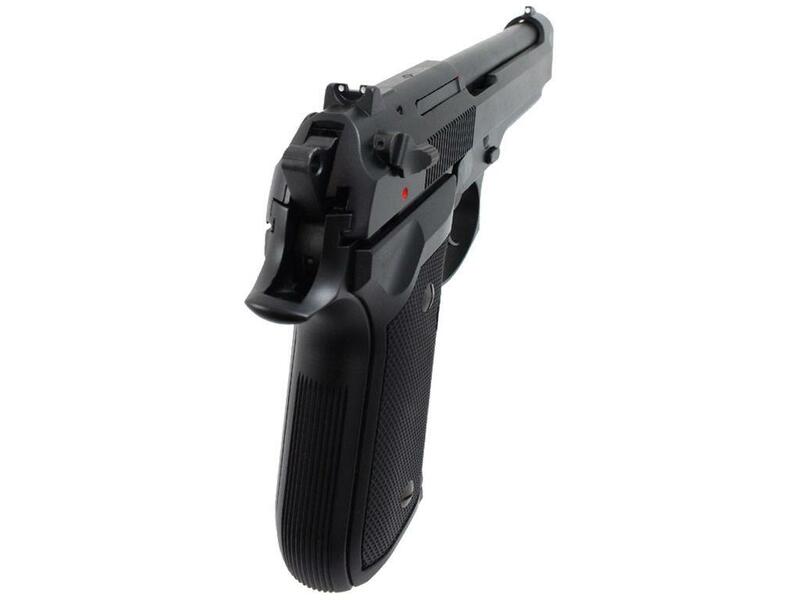 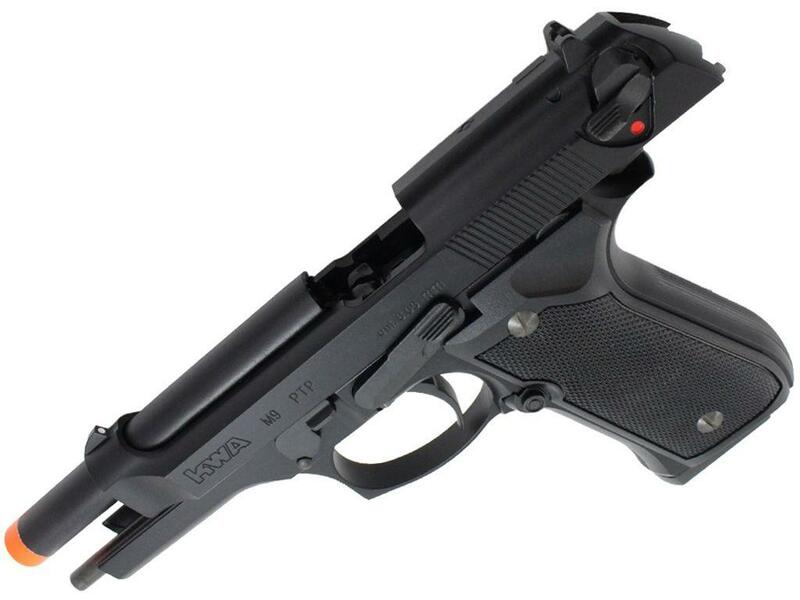 KWA M9 PTP Gas Blockback Airsoft Pistol | ReplicaAirguns.ca | New Website! 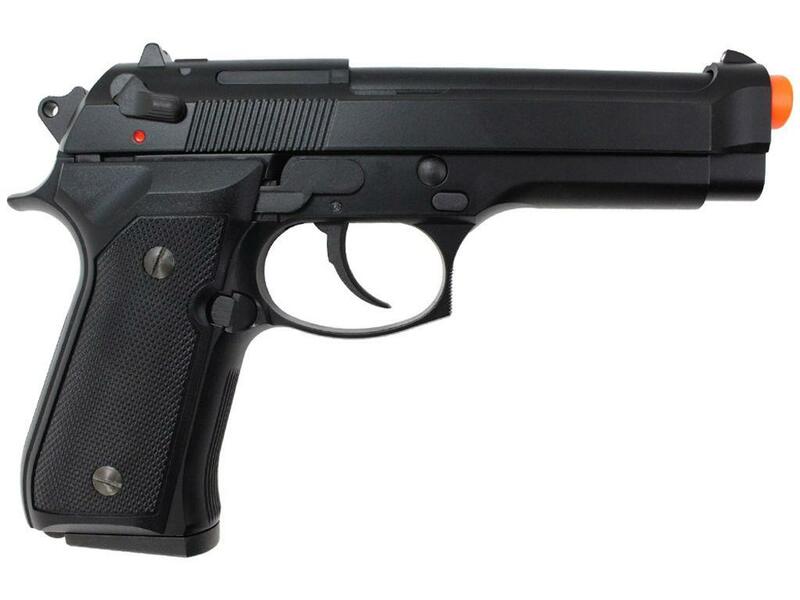 Comments: This hyper-realistic airsoft model of the M9A1 9mm pistol has a full-metal construction with authentic weight and balance. 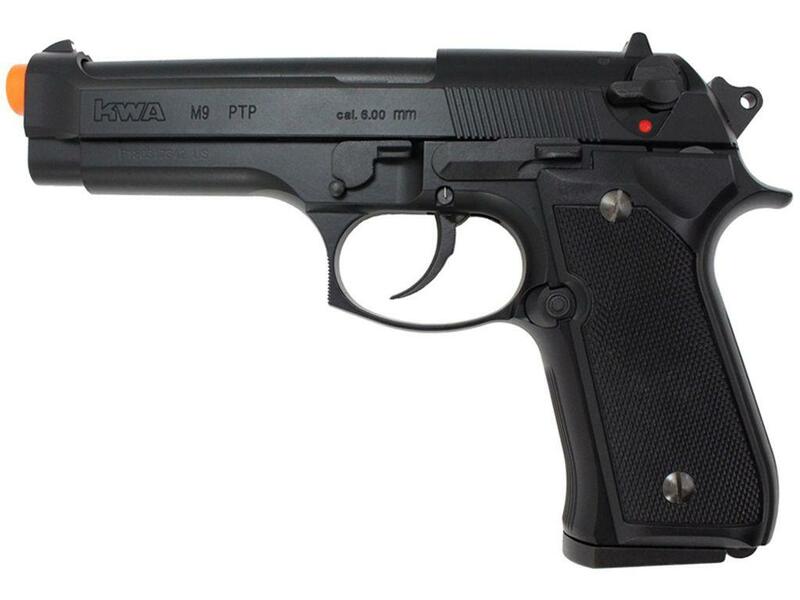 Just like the real steel gun, the M9 PTP (Professional Training Weapon) features the iconic open barrel design with a beavertail grip. 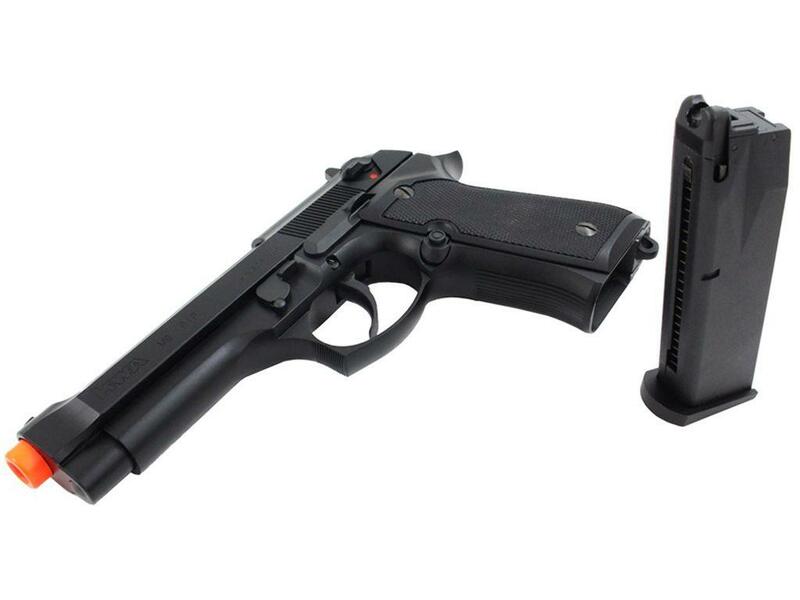 This gun is powered by KWA's new and improved NS2 green gas system, which provides faster, smoother cycling and harder blowback. 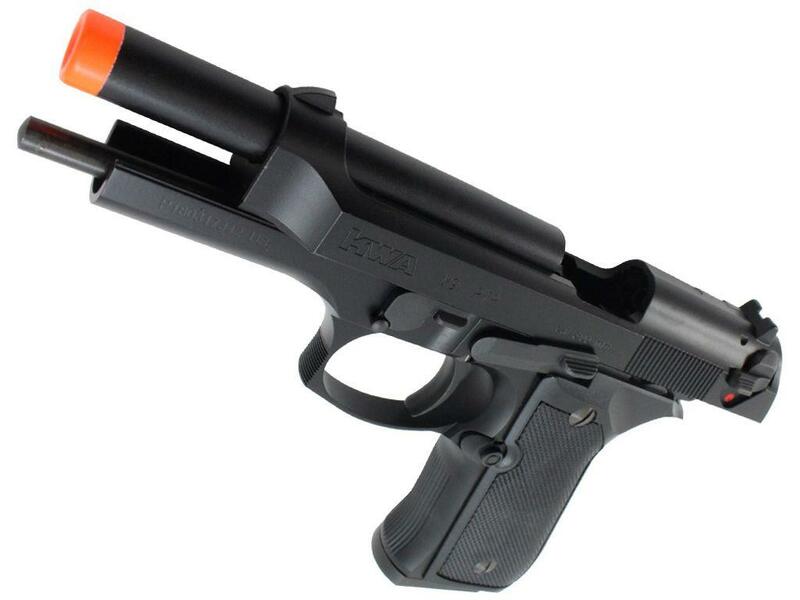 It can also be field stripped just like the real thing for easy cleaning and maintenance.